Simplify application development and testing with MacKinney's program testing and debugging tools. Step through executing programs real-time, view and change variable contents, redirect program execution, re-execute statements without recompiling, and pinpoint the cause of an abend. Allow multiple programmers to test the same programs concurrently using their own debug settings. Expedite problem resolution with MacKinney debugging software. Minimize development time and production outages. 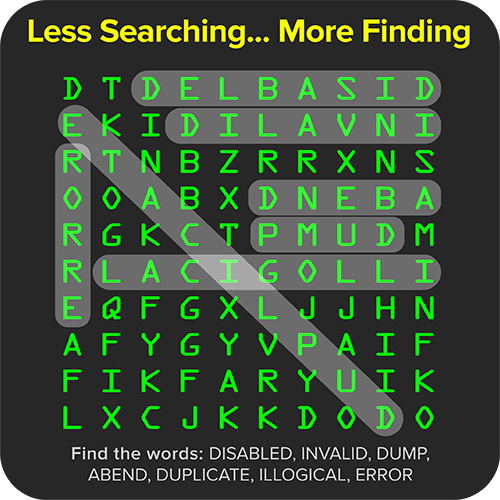 Quickly locate problems to save time and money!